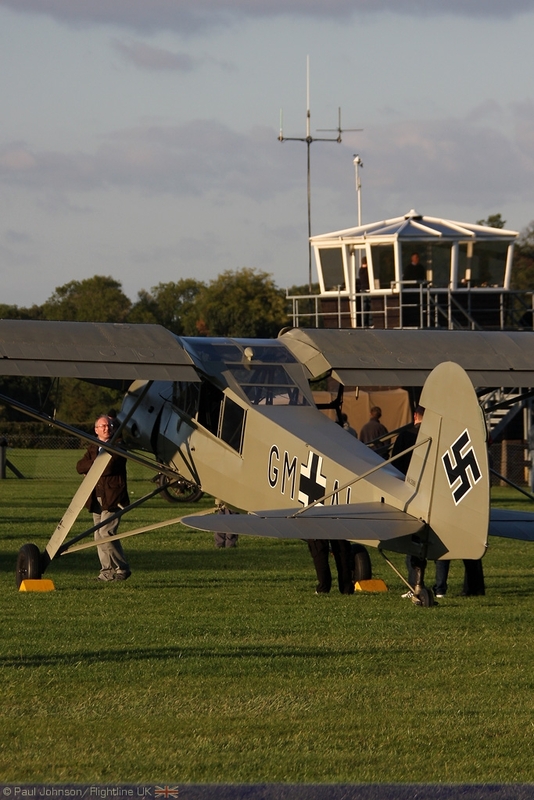 Old Warden's final evening air display event of the year was the "meet the Pilots" air display. 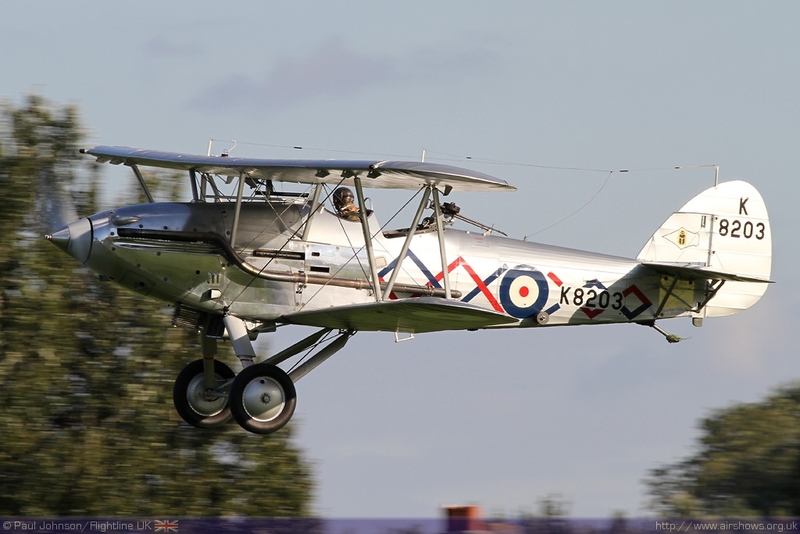 This event was introduced last year to great acclaim allowing visitors to chat to the pilots and get up close to some of the stunning machinery that the Shuttleworth Collection displays in its museum and in its many different flying displays. 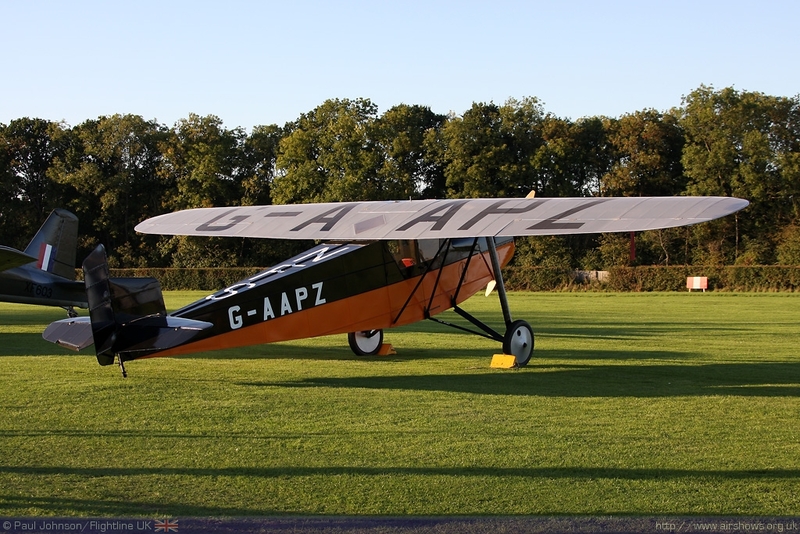 With a relatively kind forecast, everything was set for another magical evening at Old Warden. 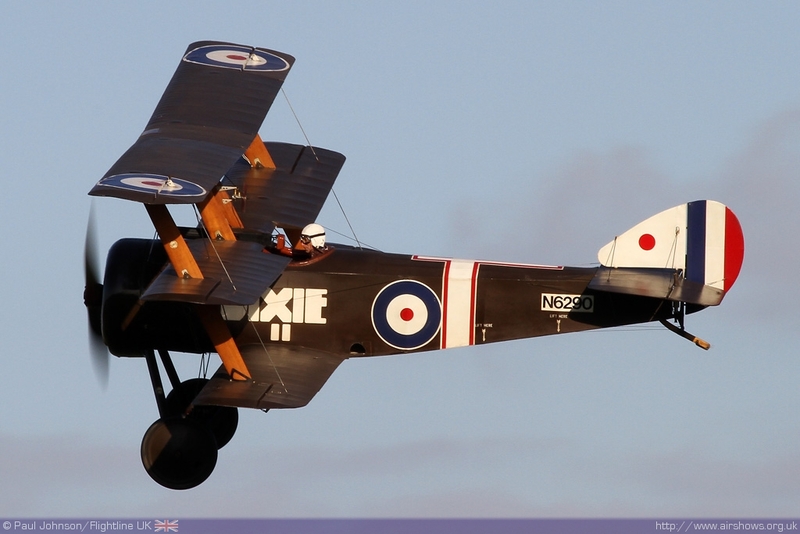 Old Warden is always a welcome distraction from some of the larger display venues around the UK. 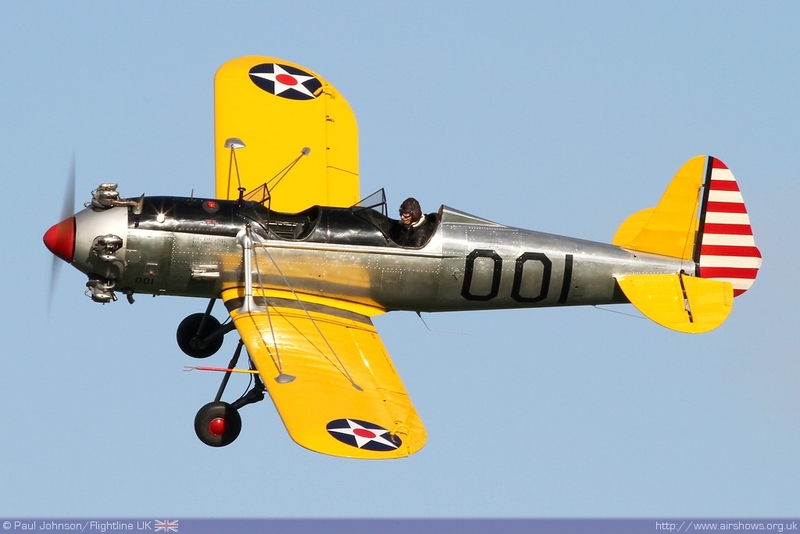 The superb setting and the proximity to the action makes an a hugely enjoyable experience at any air displays, but the evening displays always are that much more special. 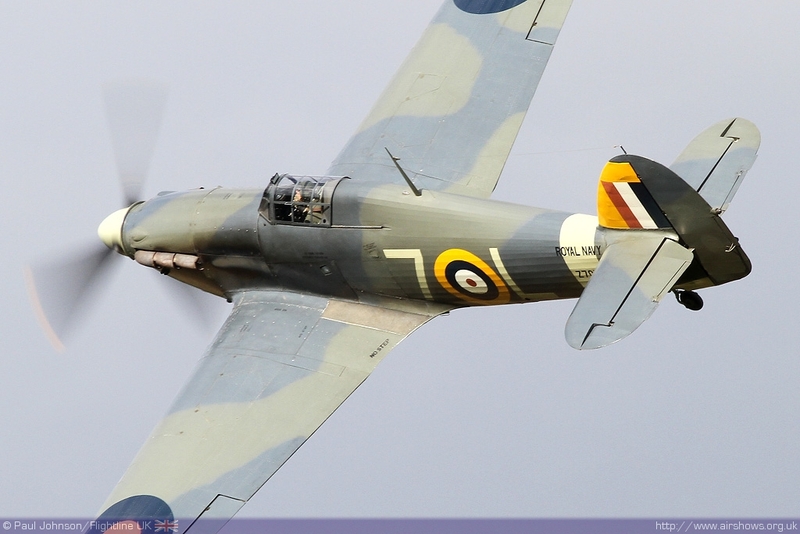 The final evening air display was just that bit more special. 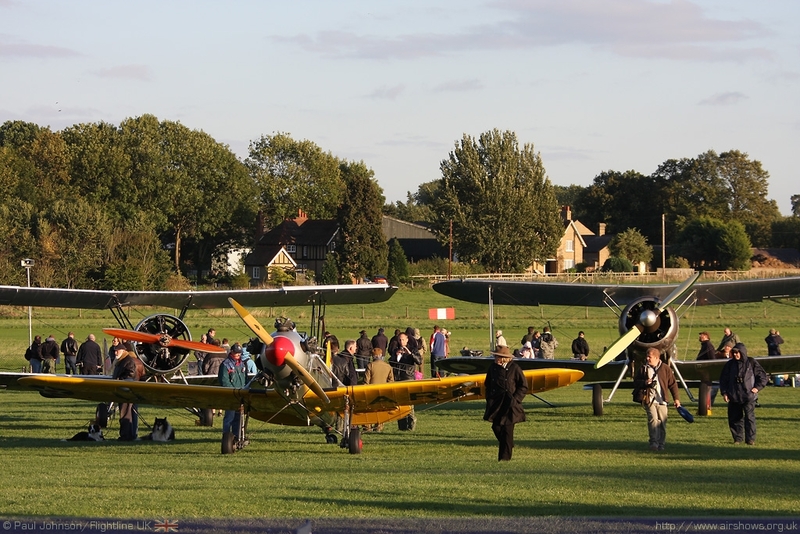 Dubbed the "Meet the Pilots Air Display" the set up for the event was very different to the usual Shuttleworth Collection air display. 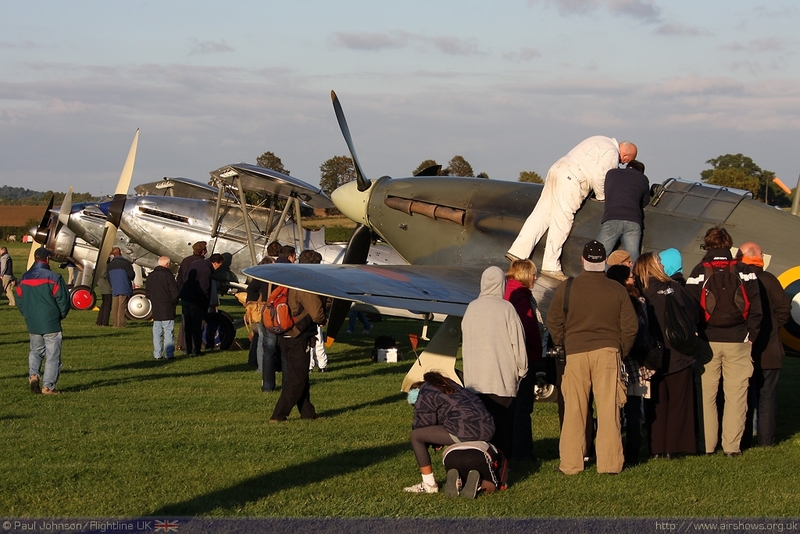 The car park was moved over to one side allowing the main area of grass behind to become a very special static park area. 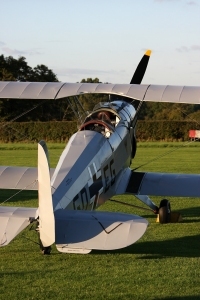 A selection of Old Warden's finest machinery was on display in the area with many of the collection's pilots and volunteers on hand to talk about the challenges and rewards of operating them. 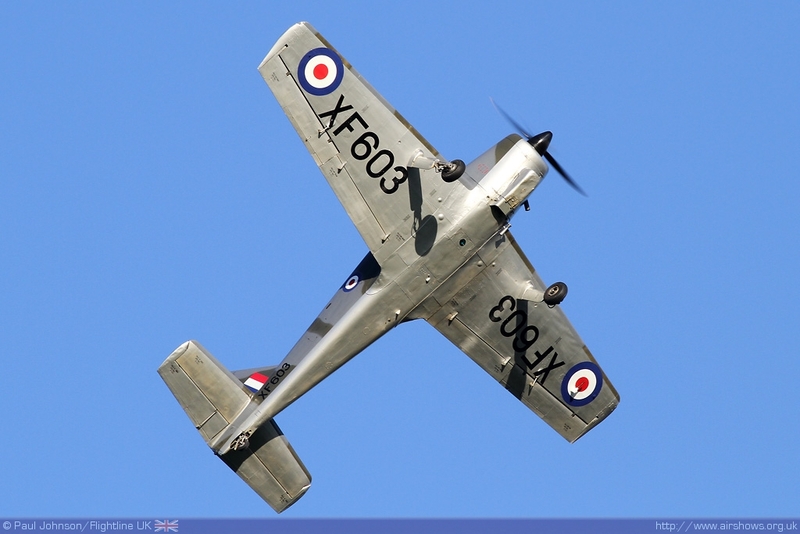 Another welcome boost to the flying was a superb commentary team featuring Tim Callaway, Dan Taylor and recently retired collection pilot, George Ellis. 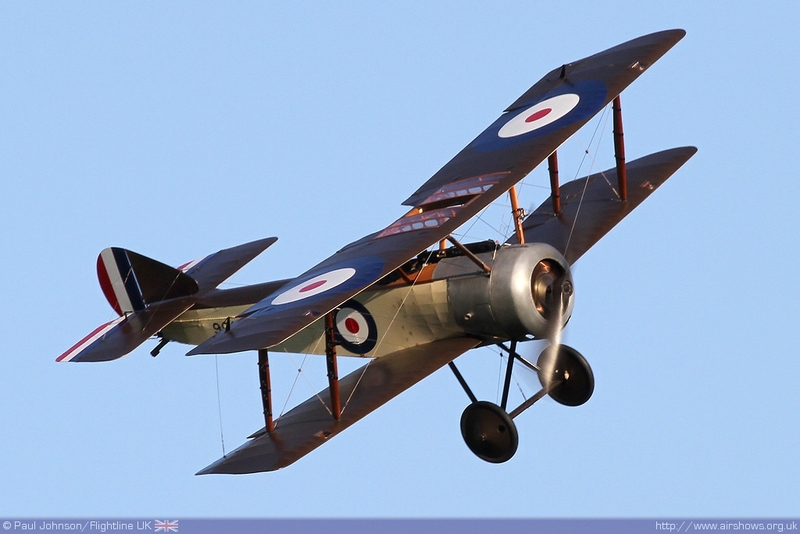 George in particular was able to convey just some of the unusual characteristics of the Shuttleworth Collection's varied array of aircraft during the display during the evening. 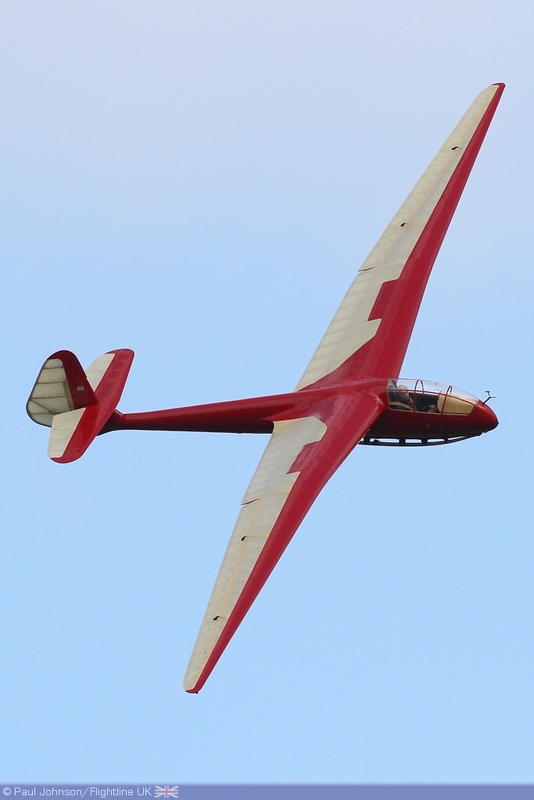 The flying displays were opened by a pair of vintage glider displays, the Scud Glider and a beautiful Slingsby T13 Petrel Glider. 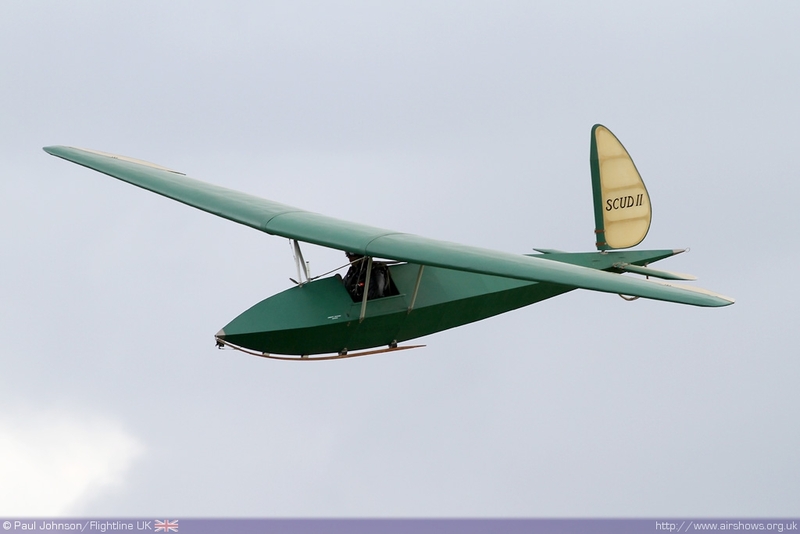 Vintage glider displays have been a very popular addition to the Old Warden flying displays throughout 2010 and long may they continue to be part of these displays. 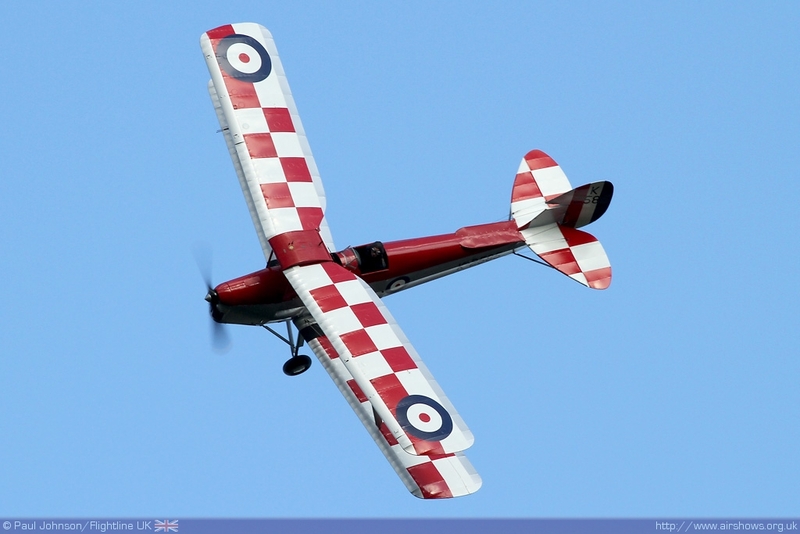 The gliders had to brave a fairly brisk wind too which sadly meant that there would be not "edwardian" fliers in the flying display. 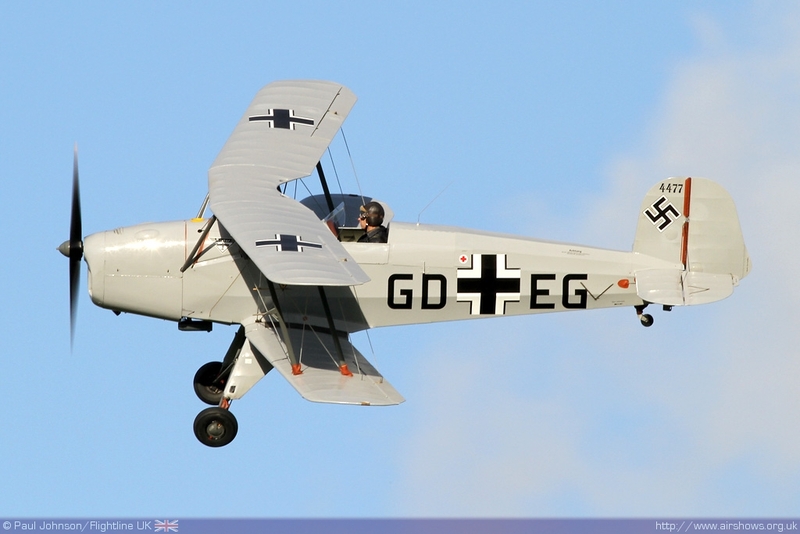 The flying display featured a wide range of the collection's different aircraft without following any specific themes. 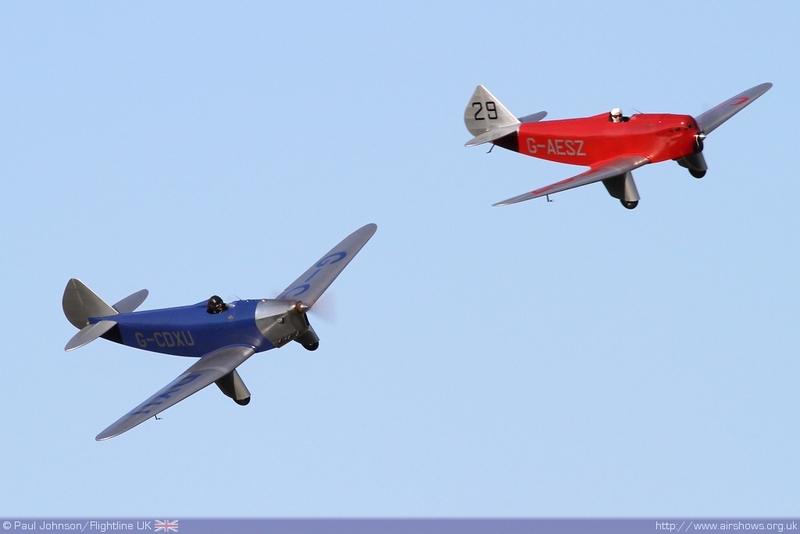 One of the early highlights of the flying display was a "duel" between the Sea Hurricane and Peter Holloway's newly restored Fiesler Storch in a kind of "Cat and Mouse" dogfight. 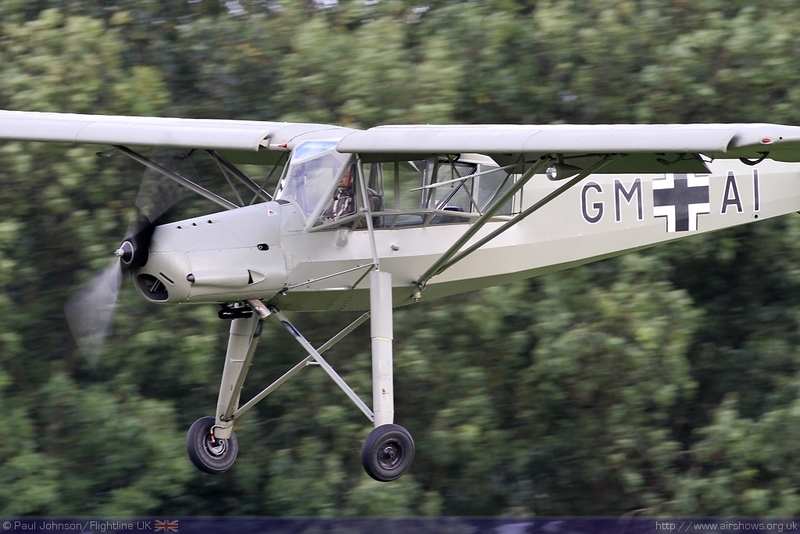 The Storch emerged already airborne from the taxyway in-between the trees on the far side and proceeded to prove just how hard it was to shoot down such a slow and agile aircraft with a heavier and faster fighter aircraft. 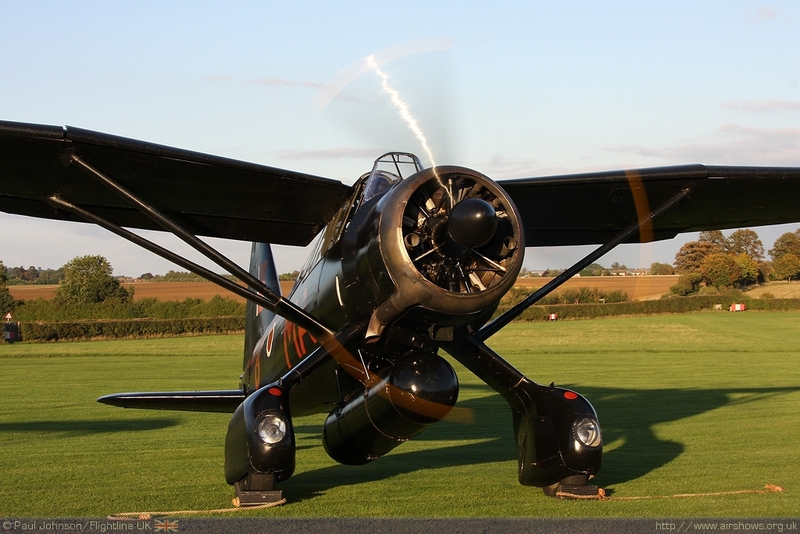 Sadly, the collection's Westland Lysander was unable to take part in the flying display with engine problems. 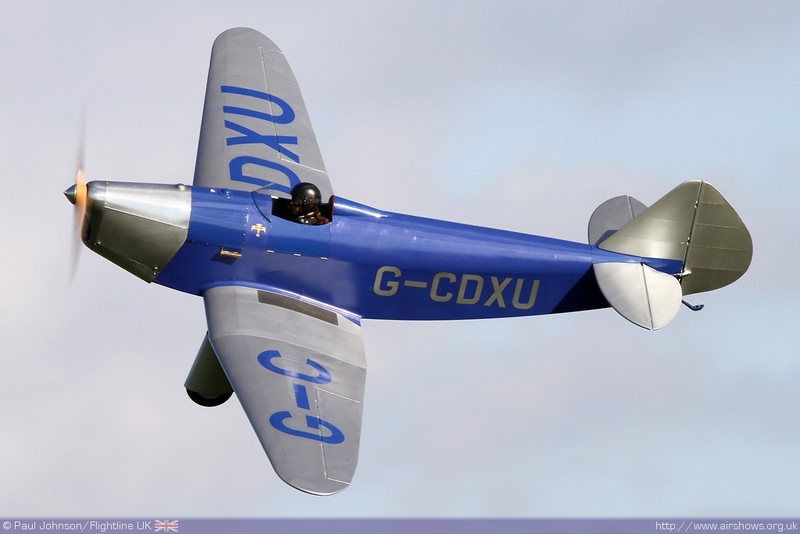 One of the more unusual displays came from a pair of Chilton Monoplanes flown by Anna Walker and Clare Tector. 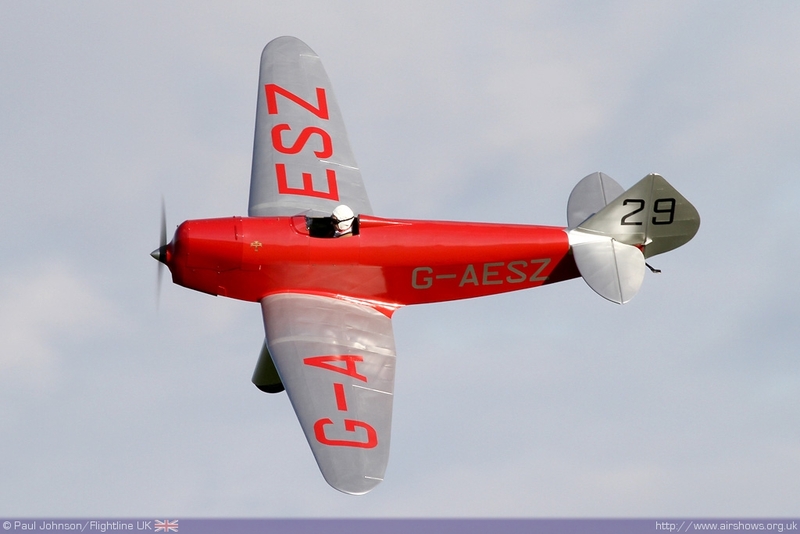 "SZ" flown by Clare Tector and built in 1932 only has a 32hp engine while "XU" has a later 65hp engine. 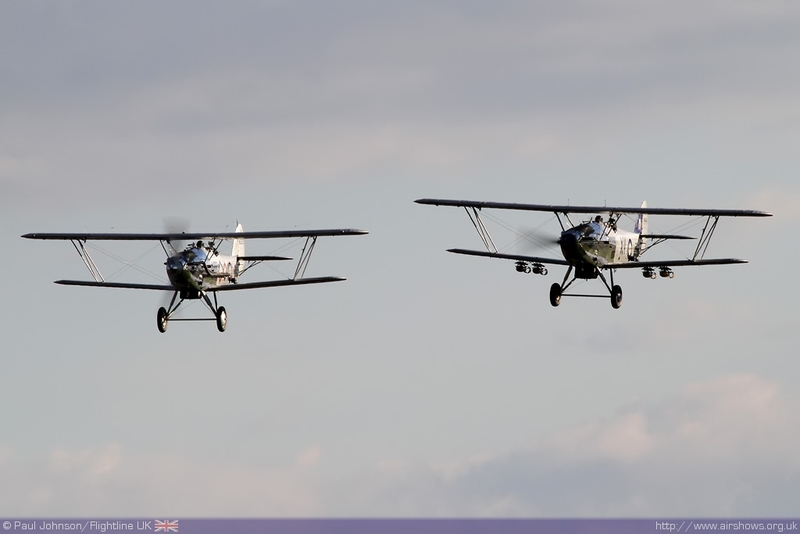 The difference in power plus the choppy breeze made formation flying in these very light aircraft quite a challenge but they are beautiful examples of 1930's style racing aircraft. 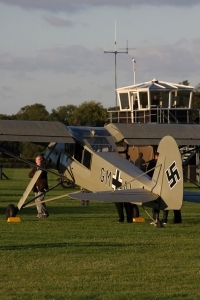 Old Warden is home to the most unique collection of historic military aircraft. 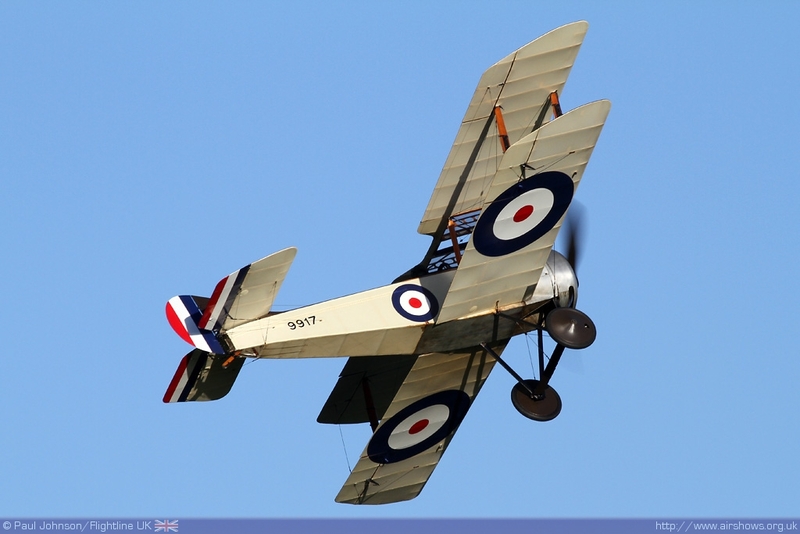 The First World War was represented in the flying display by the Sopwith Pup alongside the Sopwith Triplane and RAF SE5a. 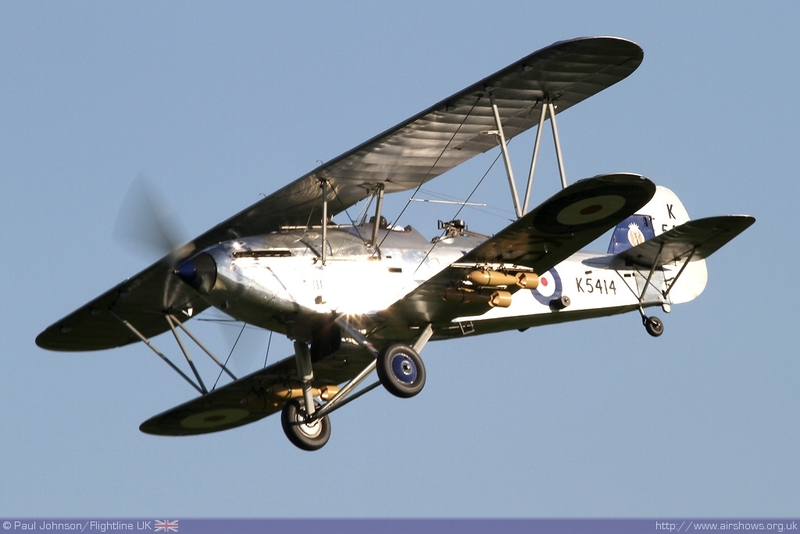 The collection is also home to a fantastic collection of inter-war biplanes resplendent in their silver dope. 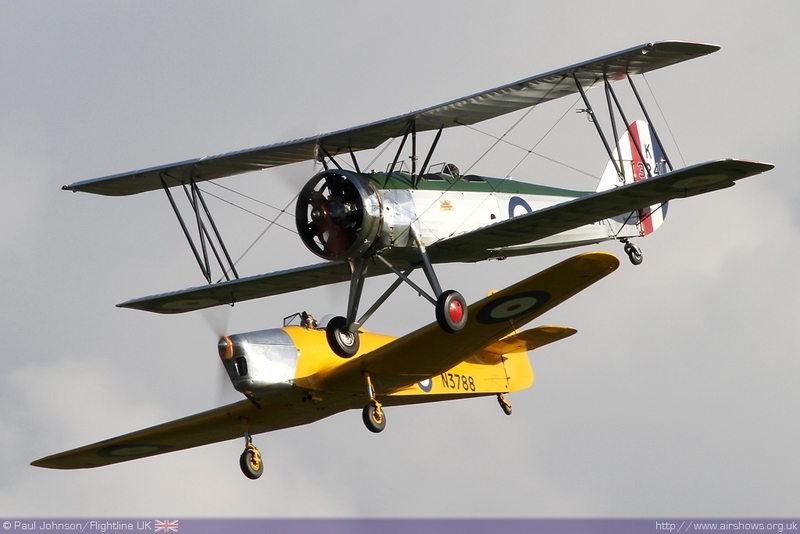 The collection's glorious Hawker Hind appeared alongside Demon Display Ltd's Hawker Demon while the RAF last biplane fighter, the Gloster Gladiator flew a solo display. 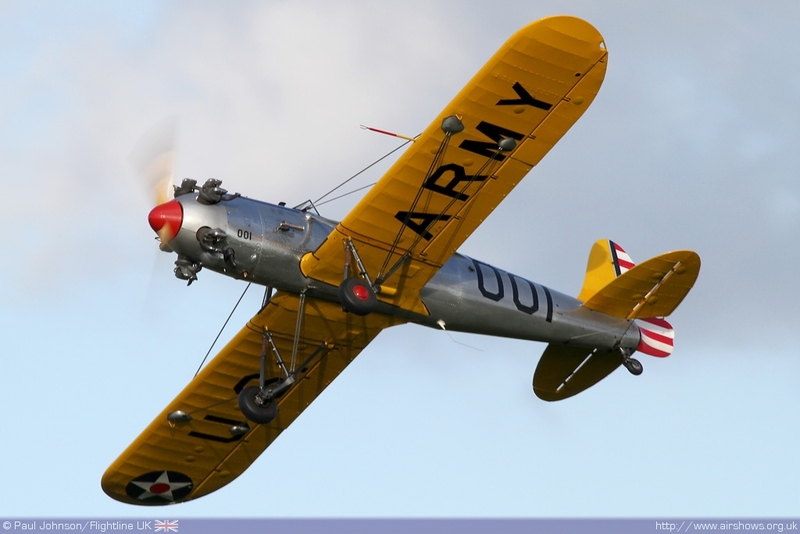 Many of the collection's aircraft represent training types right through a history of aviation. 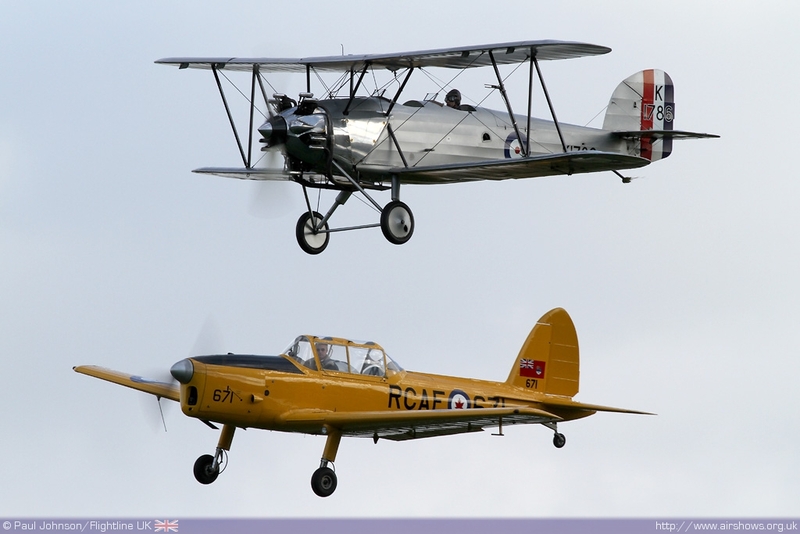 There were further example of 1930's RAF training with the silver Avro Tutor, Hawker Tomtit, Miles Magister and De Havilland DH82a Tiger Moth. 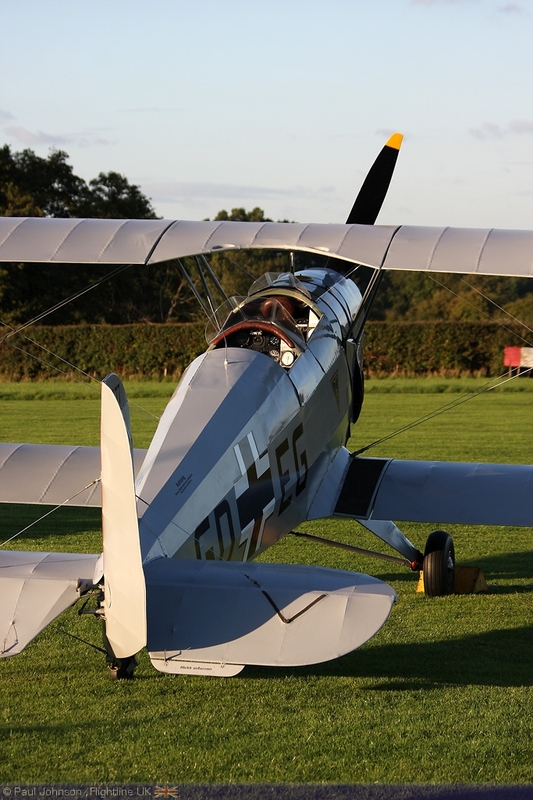 Old Warden is also home to examples of German and American trainers with the Bucker Jungmann and Tracy Curtis-Taylor's Ryan PT22 displaying in the glorious early evening sunshine. 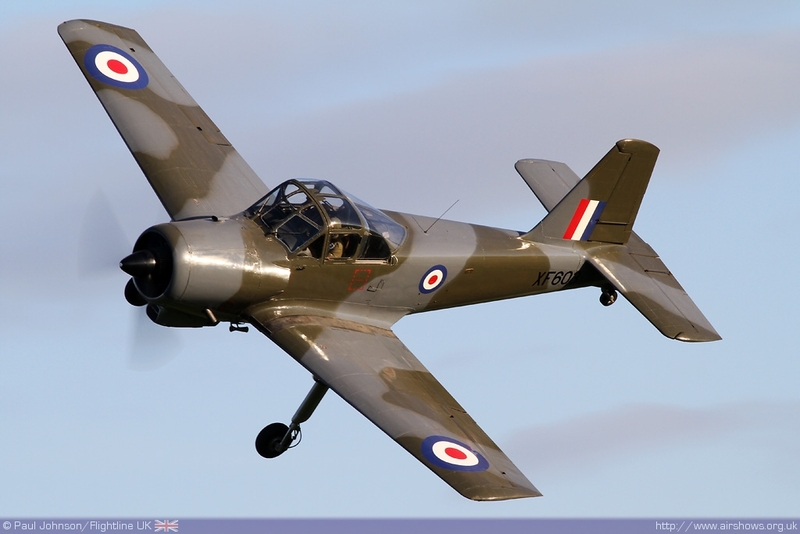 The RAF's post war training types are also well represented at the collection with examples of the De Havilland Canada Chipmunk and Piston Provost. 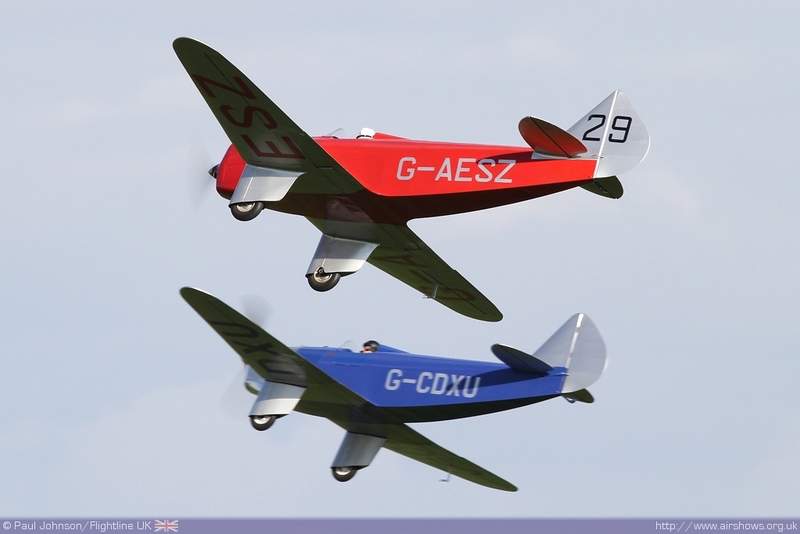 A visit to a Shuttleworth Collection air display is always good value and entertaining. 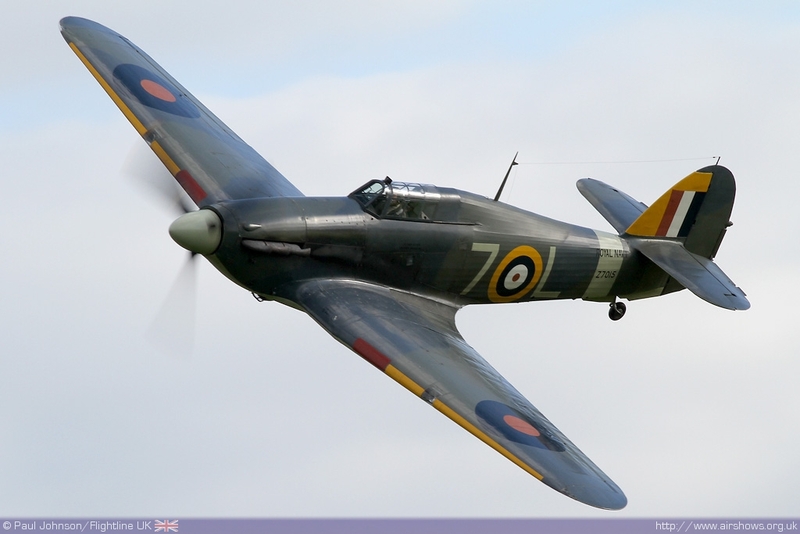 My only disappointment this year has been not being able to visit more of these wonderful events. 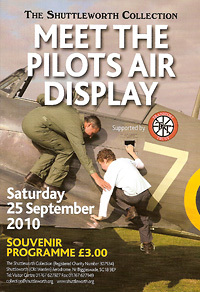 This particular display was very well received with its different slant on the day's activities and will hopefully reappear next year. 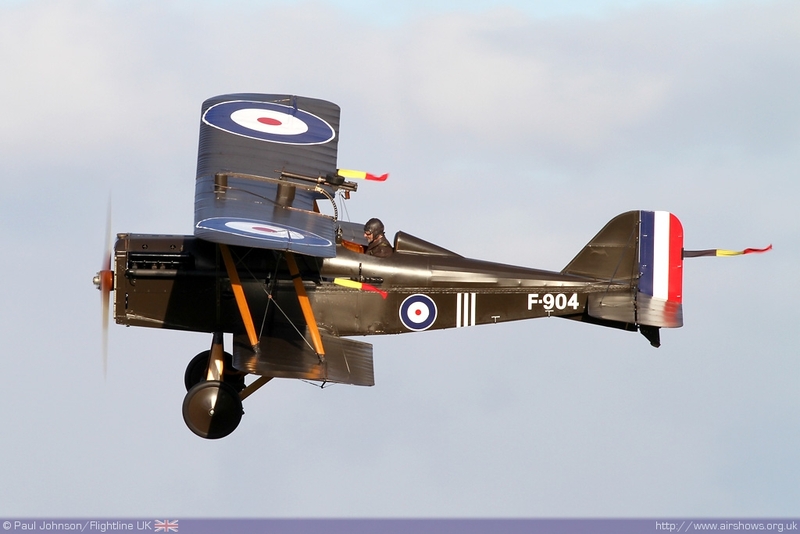 The Collection has had another superb year of flying displays and with the Polikarpov Po-2 nearing completion amongst many other developments, 2011 looks like it will be just as good!